Heroes of Serbia - Memory Eternal: THE PROSPECT OF WAR WITH SERBIA debated in Austrian Ministerial Council Meeting JULY 7, 1914 - "The July Crisis"
THE PROSPECT OF WAR WITH SERBIA debated in Austrian Ministerial Council Meeting JULY 7, 1914 - "The July Crisis"
Aleksandra's Note: The following documentary evidence, the source of which is the Austrian Ministerial Council during the "JULY CRISIS" of 1914 confirms the "theory" that war with Serbia was a foregone conclusion regardless of the Austrian "Ultimatum" that would follow on July 23 and regardless of Serbia's response to that Ultimatum. War would be waged against Serbia, period. 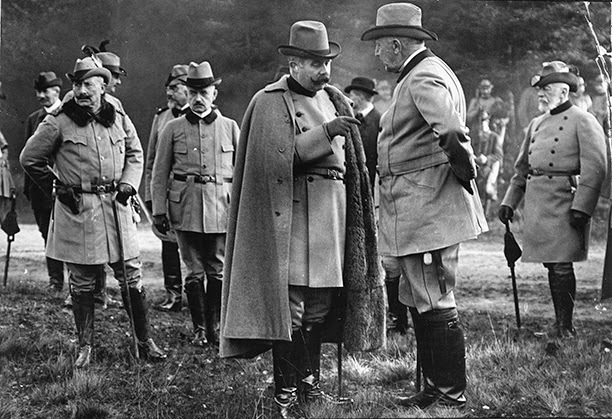 Franz Ferdinand (in fur-lined coat) on a hunting weekend with Wilhelm II (left) in 1914. Primary Documents - Austrian Ministerial Council Meeting Minutes, 7 July 1914. Reproduced below are the official minutes of the Austrian Ministerial Council Meeting which took place on 7 July 1914, some nine days following the assassination of Archduke Franz Ferdinand and his wife Sophie in Sarajevo on 28 June 1914. 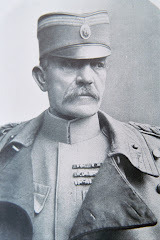 During the meeting the prospect of war with Serbia was debated; aside from the Hungarian Prime Minister, Count Tisza, all present favoured presenting Serbia with a sufficiently severe ultimatum that could not be accepted. Its rejection would therefore prove grounds for a subsequent declaration of war. Minutes of Ministerial Council on affairs of State held at Vienna on July 7, 1914, under the presidency of the Minister of the Royal and Imperial Household and Minister for Foreign Affairs, Count Berchtold. The President opens the sitting by remarking that the Ministerial Council has been called in order to advise on the measures to be used in reforming the evil internal political conditions in Bosnia and Herzegovina, as shown up by the disastrous event at Serajevo. In his opinion there were various internal measures applicable within Bosnia, the use of which seemed to him very appropriate, in order to deal with the critical situation; but first of all they must make up their minds as to whether the moment had not come for reducing Serbia to permanent inoffensiveness by a demonstration of their power. So decisive a blow could not be dealt without previous diplomatic preparation; consequently he had approached the German Government. The conversations at Berlin had led to a very satisfactory result, inasmuch as both the Emperor William and Herr von Bethmann Hollweg had most emphatically assured its of Germany's unconditional support in the case of hostilities with Serbia. Meanwhile, we still had to reckon with Italy and with Rumania, and here he agreed with the Berlin Cabinet that it would be better to negotiate and be prepared for any claims to compensation which might arise. He was clear in his own mind that hostilities with Serbia would entail war with Russia. Russia, however, was now playing a far-seeing game, and was calculating on a policy of being able to unite the Balkan States, including Rumania, with the eventual objective of launching them at an appropriate moment against the Monarchy. 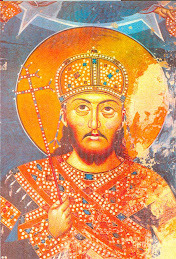 He suggested that we must reckon on the fact that in face of such a policy our situation was bound steadily to deteriorate, and all the more if an inactive policy of laisser alley were to be interpreted as a sign of weakness by our own South Slavs and Rumanians, and were to be a direct encouragement to the power of attraction of the two neighbour States. The logical inference to be drawn from his remarks was that we must be beforehand with our enemies and, by bringing matters to a head with Serbia, must call a halt to the gathering momentum of events; later it would no longer be possible to do so. 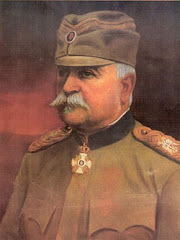 The Hungarian Premier agreed that during the last few days the results of our investigations and the tone of the Serbian press had put a materially new complexion on events, and emphasized the fact that he himself held the possibility of warlike action against Serbia to be more obvious than he had thought in the period immediately after the act at Serajevo. 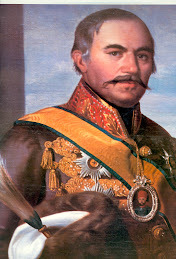 But he would never give his consent to a surprise attack on Serbia without previous diplomatic action, as seemed to be contemplated and as had unfortunately already been made the subject of discussion by Count Hoyos at Berlin; were that done, in his opinion, our position in the eyes of Europe would be an extremely bad one, and in all probability we should have to reckon with the enmity of the whole Balkans, except Bulgaria, while Bulgaria herself being at present very much weakened would not be able to give us the necessary support. It was absolutely necessary that we should formulate demands against Serbia and only send an ultimatum in case Serbia failed to satisfy them. These demands must undoubtedly be hard, but should not be impossible of fulfilment. Should Serbia accept them we should be able to quote a dazzling diplomatic victory, and our prestige in the Balkans would be raised. Should our demands not be accepted he himself would then be for warlike action, but even at this point he thought it essential to lay stress on the fact that the object of such action ought to be the reduction of Serbia, but not her complete annihilation; first, because this would never be allowed by Russia without a life and death struggle, and also because he, as Hungarian Premier, could never consent to the annexation of part of Serbia by the Monarchy. It was not Germany's place to judge whether we should now deal a blow at Serbia or not. Personally, he was of opinion that it was not absolutely necessary to go to war at this moment. 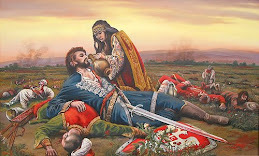 At the present time we must take into account that the agitation against us in Rumania was very strong, that in view of the excited state of public opinion, we should have to reckon with a Rumanian attack. We must also remember that in the sphere of European politics the relation of French to German power would continually deteriorate because of the low birthrate, and that Germany would therefore continually have more troops at her disposal, as time went on, against Russia. These considerations ought all to be weighed on the occasion of a decision as important as the one to be taken to-day; he must, therefore, come back to this, that, in spite of the crisis of affairs in Bosnia, he would not make up his mind unconditionally for war. The President remarked that the history of the last years had shown that while diplomatic successes against Serbia raised the reputation of the Monarchy for the time being, the actual tension in our relations with Serbia had only increased. Neither our success during the annexation crisis, nor at the creation of Albania, nor Serbia's submission later in consequence of our ultimatum of the autumn of last year, had altered the real situation in any way. 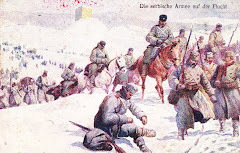 He imagined that energetic action alone would suffice to solve once for all the problem created by the systematic propaganda for a Greater Serbia encouraged from Belgrade, the disintegrating effects of which had made themselves felt as far as Agram and Zara. As regards the danger of a hostile attitude on the part of Rumania, mentioned by the Hungarian Premier, the President remarked that this was less to be feared now than later on, when the unity of interests between Rumania and Serbia would have become more pronounced. 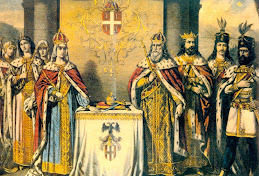 To be sure, King Carol had let fall doubts as to whether he would be able to fulfil his duty as an ally, should occasion arise, by sending active help. On the other hand, it was scarcely likely that he would allow himself to be so far carried away as to become involved in hostilities against the Monarchy, even supposing that public opinion did not itself oppose that. Further, there was Rumanian fear of Bulgaria; even as things stood at present this was bound to a certain extent to hamper Rumania's freedom of movement. As for the observation made by the Hungarian Premier on the relative strength of France and Germany, surely they had to remember that the decreasing birthrate of France was counter-balanced by the infinitely more rapid increase in the population of Russia, so that the argument that in future Germany would always have more troops at her disposal against France would not hold. The Austrian Premier remarked that to-day's Ministerial Council had actually been called for the purpose of advising about the internal measures to be taken in Bosnia and Herzegovina, in order to make effective the present inquiry into the assassination, on the one hand, and, on the other, to counteract the Greater Serbia propaganda. But now these questions must give way to the principal question; should we solve the internal crisis in Bosnia by a demonstration of power against Serbia? Two considerations now made this principal question an immediate one; first, the Governor of Bosnia and Herzegovina was proceeding on the presumption, acquired in the course of inquiries and in consequence of his knowledge of Bosnian affairs, that no internal measures would be effective, unless we made up our minds to deal a forceful blow to Serbia abroad. 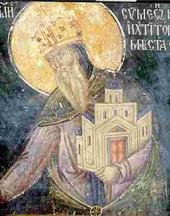 In view of this report from General Potiorek we must ask ourselves whether the schismatic activities originating in Serbia could be stopped at all, unless we took action against the Kingdom. During the last few days the whole situation had received a materially fresh complexion and a psychological situation had been created, which, in his opinion, led unconditionally to an issue of arms with Serbia. He certainly agreed with the Hungarian Premier that it was for us, and not for the German Government, to decide whether a war were necessary or no; he must nevertheless observe that our decision must be materially influenced by the fact that, in the quarter which we were bound to regard as the greatest support of our policy in 'the Triple Alliance, unconditional loyalty was, as we were informed, promised to us and that, in addition, on our making inquiry, we were urged to act at once; Count Tisza ought to weigh this fact, and to consider that a hesitating, weak policy would run us into the danger of losing the certainty of this unconditional support of the German Empire on a future occasion. This was the second consideration which must be taken into account in forming our decision, and was additional to our interest in restoring order in Bosnia. How to begin the conflict was a question of detail, and should the Hungarian Government be of opinion that a surprise attack "sans crier Bare," to use Count Tisza's expression, was not feasible, then they must needs think of some other way; but he did most earnestly hope that, whatever they might do, they would act quickly, and our trade and commerce be spared a long period of unrest. 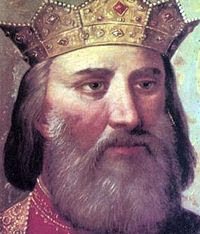 All this was detail compared with the chief question as to whether it should in any case come to armed action or not, and here the authoritative interest was the reputation and stability of the Monarchy, whose South Slav provinces he held to be lost if nothing were to happen. They ought, therefore, to make up their minds to-day, in a general way, whether they meant to act or not. He, too, shared the President's view that the situation would not be in the least improved by a diplomatic success. If, therefore, international considerations caused them to adopt the method of an initial diplomatic action against Serbia, this would have to be done with the firm intention o f allowing such action to end only in a war. The Joint Finance Minister observed that Count Sturkh had referred to the fact that the Governor wanted war. 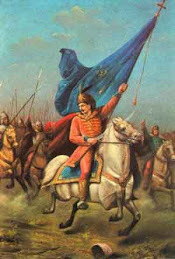 For two years General Potiorek had held the view that we must match ourselves against Serbia, in order to be able to retain Bosnia and Herzegovina. We ought not to forget that the Governor, who was on the spot, could better judge the situation. Herr von Bilinski, too, was convinced that a decisive struggle was unavoidable sooner or later. The Hungarian Premier observed that he had the highest opinion of the present Governor as soldier, but, as regards the civil administration, it could not be denied that it had broken down completely and that reform was absolutely essential. He would not now enter more fully into this question, especially as it was no time for big alterations; he would only observe that the most incredible conditions must be reigning among the police, to make it possible that six or seven persons known to the police should have been able to place themselves along the route of the procession on the day of the assassination, armed with bombs and revolvers without a single one of them being noticed or removed by the police. He could not see why the condition of Bosnia could not be materially improved by means of a thorough reform of the administration. The Joint War Minister is of opinion that a diplomatic success would he of no value. Such a success would only be interpreted as a weakness. From the military point of view he must emphasize the fact that it would be better to wage the war now, rather than later, as the balance of power would move disproportionately against us later on. As for the procedure for beginning war, he might be permitted to remark that the two great wars of recent years, both the Russo-Japanese and the Balkan Wars, had been begun without previous declarations of war. His opinion was at first only to carry through their contemplated mobilization against Serbia, and let general mobilization wait until they knew whether Russia was going to take action or not. We had already neglected two opportunities of solving the Serbian question and had deferred decision on both occasions. If we did this again and took no notice of this latest provocation, this would be taken as a sign of weakness in every South Slav province and we should be inducing an increase of the agitation directed against us. It would be desirable from a military point of view if the mobilization could be carried out at once, and secretly, and a summons addressed to Serbia only after mobilization had been completed. This would also be a good thing as against the Russian forces, as just about this time the Russian frontier forces were not at their full strength on account of harvest-leave. Thereupon a discussion developed about the aims of warlike action against Serbia, and the Hungarian Premier's point of view was accepted, to the effect that Serbia should be reduced in size, but not, in view of Russia, entirely annihilated. 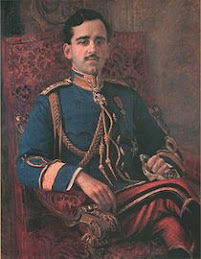 The Austrian Premier emphasized the fact that it might also be advisable to remove the Karageorgevich dynasty and to give the Crown to a European prince, as well as to induce a certain condition of dependency of this reduced kingdom on the Monarchy in relation to military affairs. 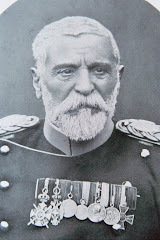 The Hungarian Premier still remained convinced that the Monarchy could adopt a successful Balkan policy by means of Bulgaria's adherence to the Triple Alliance, and pointed out what a frightful calamity a European war would be under present circumstances. (1) That all present wish for the speediest decision which is practicable in the conflict with Serbia, whether by means of war or peace. (2) That the Ministerial Council is prepared to adopt the point of view of the Hungarian Premier to the effect that mobilization shall only follow after concrete demands have been addressed to Serbia, and have been refused, and an ultimatum has further been sent. (3) On the other hand, all present, excepting the Hungarian Premier, hold that a purely diplomatic success, even if ending in a startling humiliation for Serbia, would be without value, and that, therefore, the demands to be put to Serbia must be so far-reaching as to pre-suppose a refusal, so that the way would be prepared for a radical solution by means of military intervention. 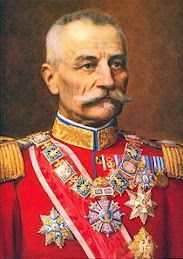 Count Tisza observes that he is desirous of meeting the views of all present, and therefore would be prepared to concede this much, that he would agree that the demands to be put to Serbia must be very hard, yet must not be of such a nature as to cause our intention of putting unacceptable demands to become obvious. Otherwise, our legal position would be an impossible one for a declaration of war. The text of the Note would have to be most carefully formulated, and he must lay importance on the necessity of seeing the Note before its despatch. He must further stress the necessity, as regards his own person, of taking the obvious action contingent on having had his point of view rejected. The meeting was now adjourned till the afternoon. On the reassembly of the Ministerial Council, the Chief of the General Staff, and the Representative of the Navy Command [Admiral Kailer] were also present. (1) Whether it would be possible to mobilize against Serbia first, and only subsequently against Russia as well, if this should become necessary? 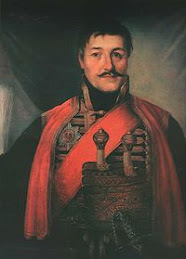 (2) Whether large bodies of troops could be retained in Transylvania to overawe Rumania? (3) At which point the war against Russia would be begun? The Chief of the General Staff, in response to these inquiries, supplies information which is confidential, and therefore requests that it be omitted from the Minutes. A discussion of some length develops out of these explanations as to the relation of forces and the probable course of a European war, which, on account of its confidential character, could not be entered on the Minutes. At the end of this discussion the Hungarian Premier repeats his views on the question of war, and once more appeals to all present to weigh their decisions with care. 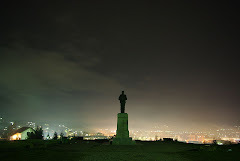 A discussion followed on the points to be included in the demands to be put in the Note to Serbia. The Ministerial Council took no definite decision as to these points; suggestions were simply made with a view to obtaining an idea of what demands might be put. The President sums up to the effect that though there still existed a divergence of view between all members and Count Tisza, yet they had come nearer agreement, inasmuch as the Hungarian Premier's own proposals would in all probability lead up to that armed conflict with Serbia, which he and the others at the meeting held to be necessary. Count Berchtold informs the meeting that he proposes to travel to Ischl on the 8th, and report to His Imperial Apostolic Majesty. The Hungarian Premier requests the President to submit also a humble memorial, which he would draw up, on his view of the situation. After a communiqué had been drawn up for the Press, the President closes the meeting. I have noted the contents of these Minutes. Vienna, August 16th, 1914.